Perhaps the most crucial part of your garage door is the opener itself. This motor is responsible for powering the system's operation smoothly and so it’s vital that it’s properly looked after, or replaced if it shows signs of failure. Some common problems associated with garage door openers are noisy or slow operation, and these can often be signs that your opener unit is in need of repair. Our technicians are fully experienced with the many problems that openers can develop and will be able to quickly diagnose the underlying issue, and perform the necessary steps to get your opener back to perfect working order. Sometimes, an opener simply reaches the end of its service life and requires replacement. It can be difficult to tell when this is the case, and some openers which appear to be beyond repair might well need only a little extra attention; perhaps a worn-out gear is the root of your problems. Our technicians’ expert eyes will be able to assess the condition of your opener and recommend whether one of its parts needs to be replaced. When a new garage door opener is installed, it’s absolutely essential that it’s properly calibrated by professionals. Our technicians have plenty of experience installing and adjusting new garage door openers so that they run smoothly and reliably for many years. There are many options available for you to choose from, each with various safety and security features. Our experts can help you find the perfect unit for your home. 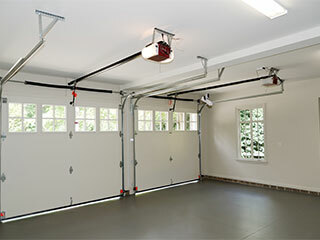 Your garage door opener is in many ways the most important part of your door system. If your opener needs to be repaired or replaced, contact our experts at Garage Door Repair Irvine today to find out what we can do for you.